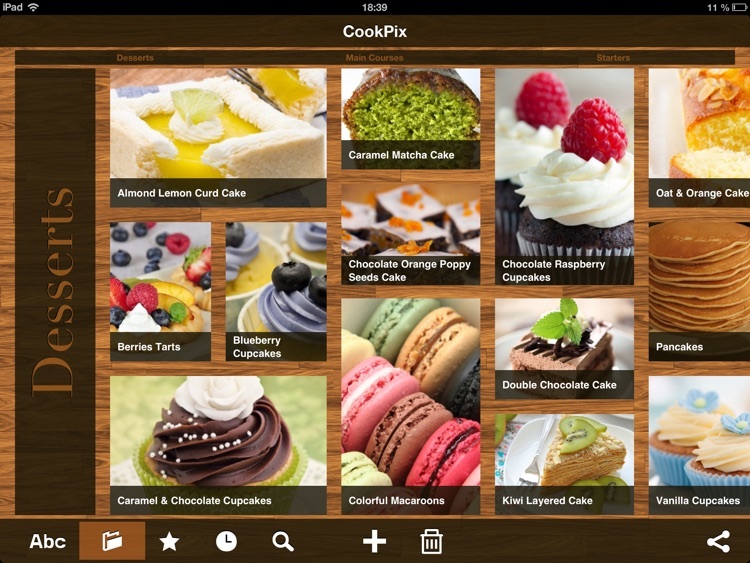 CookPix lets your create your own digital recipe photo book on the iPad. 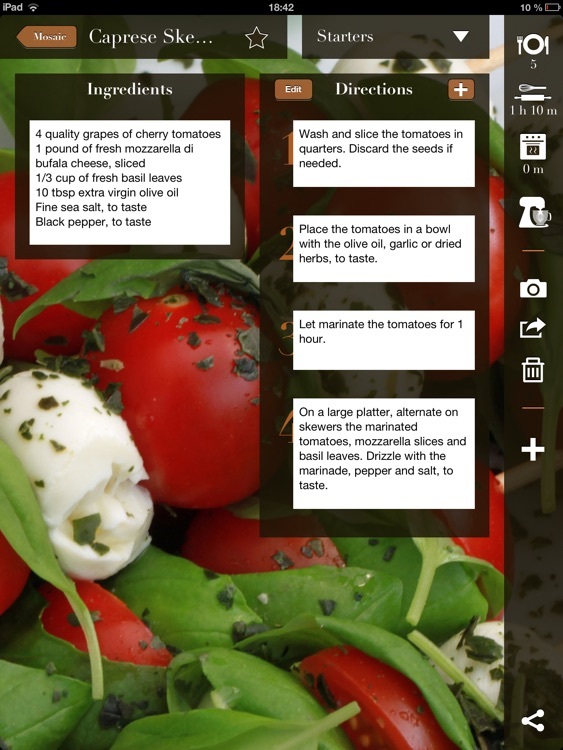 It allows you to keep, display and search amongst your recipes in one place. It makes the best of your dishes photos so that gathering and finding recipes become an easy and mouth-watering activity. Whether you are an amateur or a professional cook, CookPix lets you collect, organize through multiple edition options, save on Dropbox and share your recipes. You can use it to inspire your culinary experiments, to demonstrate your cooking skills or to showcase your most appealing food photos to your customers or family. 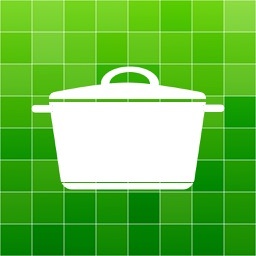 CookPix minimal interface is designed for an easy use. It highlights your recipes content without visual overload. It takes advantage of the iPad great display to make the most of your dishes presentation and to make everyone hungry. 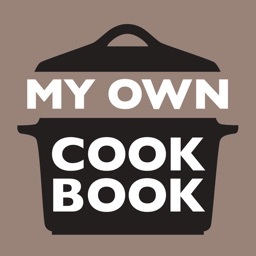 * Please note that CookPix is NOT a cookbook that provides recipes: it is a personal cookbook support to keep together and display your own recipes in one place. Create: freely organize and stimulate your cooking creativity. 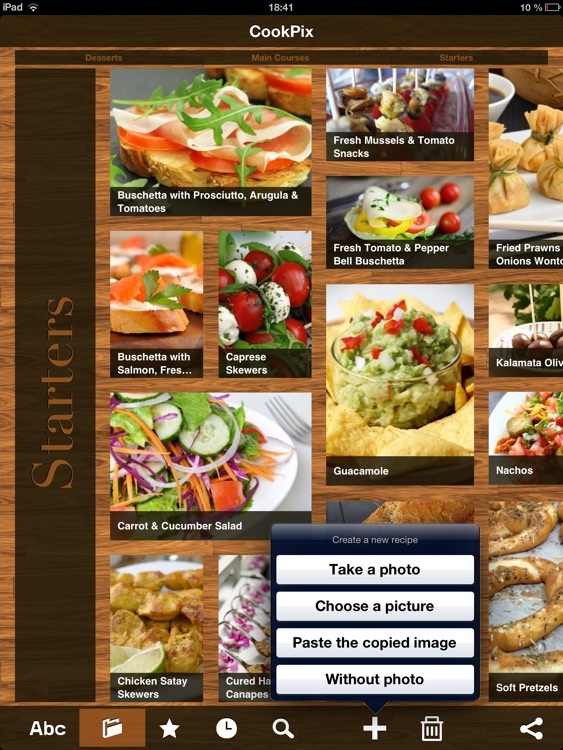 • Easily add a picture for your recipe by taking a photo with your iPad, picking up one in your albums or by copy-pasting. 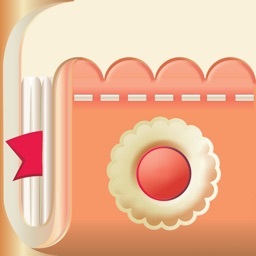 • Edit as you want your recipes ingredients and preparation instructions with all the information you need. • Use copy/paste function to withdraw or gather content from any of your iPad apps. • Indicate the number of persons/servings, preparation and cooking times. 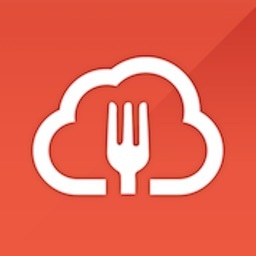 • Edit and manage your own food categories and sort your recipes according to your criteria. Find and display: make everyone salivate. • Have a nice presentation of your dishes photos and a well-ordered overview by scrolling through your recipes pictures thumbnails in the photo gallery. • Rapidly sort and find your recipes in the gallery view thanks to the search engine and advanced browsing functions (by alphabetical order, your meals categories, favorite recipes, recently consulted ones, keywords). 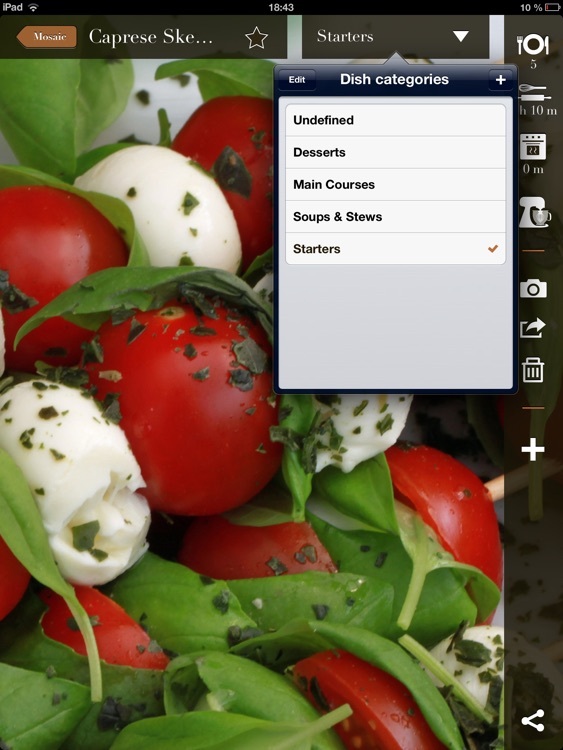 • Enjoy navigating by swiping between your meals images on the great iPad display. 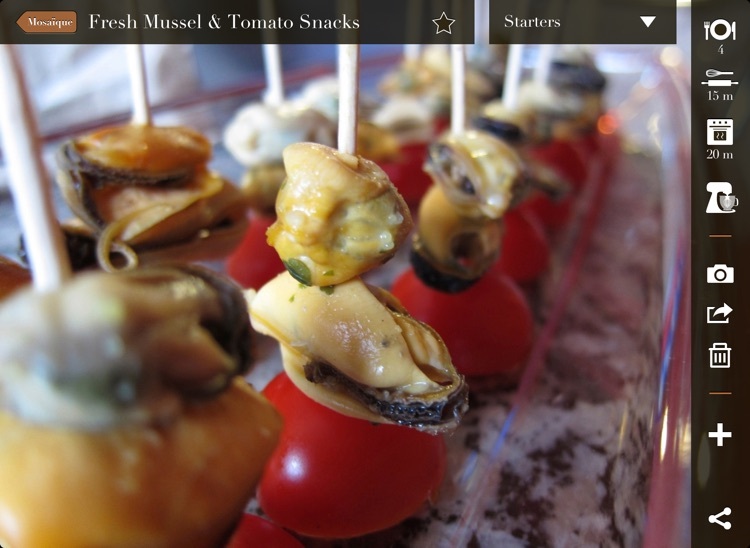 Share: cooking is about conviviality and sharing and so is CookPix. • Share your cooking tips, experiments, family meals preparations and best looking food pictures by email, on Twitter and Facebook. 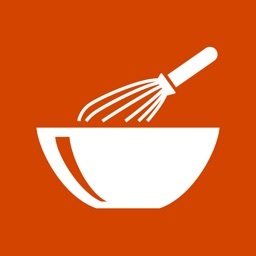 • Make automatic backups of your recipes on your Dropbox account. 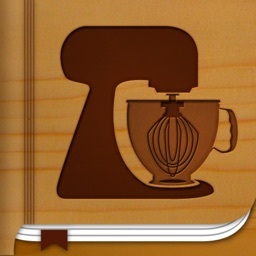 • If you need to reinstall the app: retrieve directly in CookPix your saved recipes from Dropbox.